Daily Dashboard | Web Conference: Steps To Take Before the GDPR Is Finalized Related reading: IAPP FAQ series: Are GDPR-compliant companies prepared for CCPA? The General Data Protection Regulation (GDPR) is slated to become law by the end of 2015 and will mandate that all companies with EU customers follow the new rules wherever they’re based. As the trilogue negotiations reach their final stages, what are companies actually doing to prepare? What steps should you be taking, if any, at this stage? 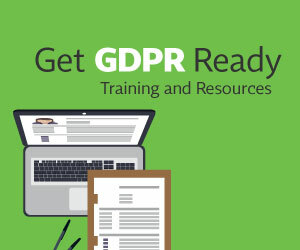 On December 10, join TRUSTe CEO Chris Babel and Klarna AB’s Chief Counsel of Global Privacy, Caroline Olstedt Carlström, CIPP/E, CIPP/US in this free virtual discussion centered on gaining practical insight from seasoned practitioners on future-proofing your business in light of these EU regulatory changes.